Intriguing to note how male worship leaders in Evangelical Christian circles have started to lead congregations into times of childishness before God. I don’t want to sound too biased against the trend by calling it “childish”; I simply mean that these leaders in their worship pursue a sense of renewed innocence, child-like dependence, and simple joy in the presence of God the Father. Perhaps the phenomenon exceeds the male/female divide, but I see it led most often by male worshipers. Let me offer two examples. 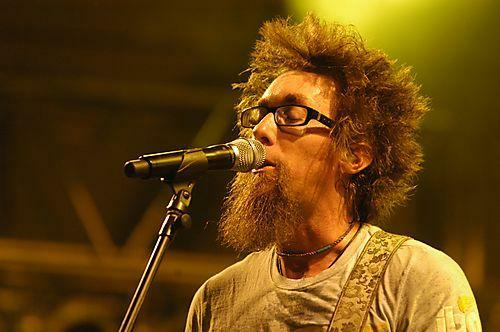 David Crowder became prominent in the late 1990s through affiliation with the Passion organization. As one of the most creative songwriters among Evangelicals he implemented Casio keyboard loops, samples, and a keen sense for the catchier elements of independent rock. He also worked the sound “La la la la la la” into a surprising number of songs. What normally would have been associated with the Smurfs, Crowder was able to make into a chorus of abandonment before God. Generally he places it at the end of a song, a kind of childish doxology of sorts, as in the concluding seconds of “O Praise Him,” or live, at the end of other songs, such as this one. Crowder’s lyrics are relatively poignant for a modern worship writer, which may explain why he offsets the more substantial words with nonsensical sounds. The former attunes the worshiper, the latter releases one into God’s presence. Jason Upton, a charismatic worship leader known for a prophetic, almost militant style in the footsteps of Keith Green, has employed an even more diligent pursuit of renewed childhood. 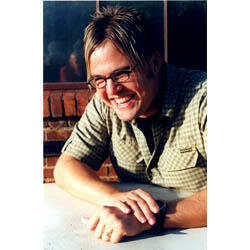 When I saw him last in 2007, he was touring with an interesting blend of worship. He sang some very aggressive and warlike songs. Then, about half-way through, he described to the crowd that he had been sensing a need to “just be a child in God’s presence,” to cry out, “Abba, daddy, Father.” Upton proceeded to lead a number of Sunday school songs and original ditties, including a song he wrote with his daughter about a dog hanging its head out of a moving car’s window. Upton assured us that it was okay to let God give us a new innocence, that it didn’t please Him to be serious and morose all the time. I can only offer a couple of suggestions as to what might be going on here. Leaders like Crowder and Upton sense a need for abandonment before the Almighty. They lead a kind of drama in worship that allows worshipers to re-chart their own value as a child, loved and protected by their Father (who probably must heal the damage done by earthly fathers). The intensity of the worship environment needs a kind of release valve, a stepping back into the Garden of Eden (or playground), even if only for a song. Crowder and Upton have a special ability to do this, I suspect, because they are men. They themselves have an aura of masculine authority out of which they grant permission to others to be innocent babes again before God. Secular rock stars have the ability to allow others to let their hair down, drink and debauch. Male worship leaders use their charisma as entertainers to do something far more significant: identify others very overtly as children of God.